Chinese company Xiaomi today held an event in Beijing, where it unveiled new products that will rival the MacBook Pro and iPhone X. First up was the new Mi Notebook Pro, with a fully metal enclosure that looks virtually identical to Apple's latest MacBook Pro in Space Gray. Mi Notebook Pro is equipped with a 15.6-inch display with narrow bezels, a full-sized backlit keyboard, custom Harman Infinity speakers with Dolby Atmos sound, and seven ports: USB-C, data-only USB-C, dual USB 3.0, full-sized HDMI, a 3-in-1 SD card slot, and a 3.5mm headphone jack. The notebook is equipped with up to Intel's new eighth-generation Core i7 quad-core processor, up to 16GB of DDR4 RAM, a dedicated NVIDIA GeForce MX150 graphics card, and 256GB of SSD storage. It will run Windows 10 Home Edition out of the box, with support for Windows Hello fingerprint authentication. Mi Notebook Pro pricing ranges from about $850 to $1,075 based on current exchange rates, which is under half the price of the latest 15-inch MacBook Pro, but The Verge found it only has a 1080p display. Next up was the Mi Mix 2 smartphone, which has a nearly edge to edge 5.99-inch display on the front of the device, beyond a small bottom bezel or "chin" that is 12 percent slimmer than the original Mi Mix. 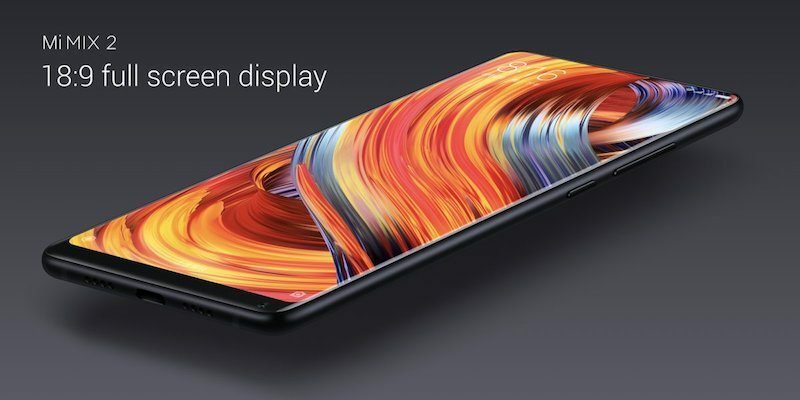 Mi Mix 2 is equipped with a 64-bit Snapdragon 835 processor, 6GB of RAM, up to 256GB of storage, a 12-megapixel rear-facing camera with four-axis optical image stabilization, and a rear fingerprint scanner. An earpiece speaker is hidden along the top edge, while the front-facing camera is housed in the bottom bezel. Mi Mix 2 will likely ship with Xiaomi's MIUI operating system, based on Android. Pricing starts at about $500 at current exchange rates. 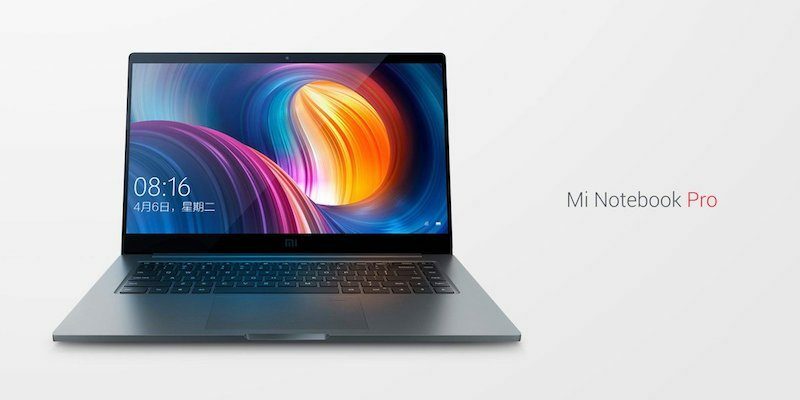 Like other Xiaomi products, the Mi Notebook Pro and Mi Mix 2 will be available soon in China, followed by other global markets. The devices will likely be available through resellers only in the United States. Other announcements included a special ceramic edition of the Mi Mix 2 and a new Mi Note 3 phablet with dual cameras. Xiaomi's event took place just one day before Apple's first-ever event at the brand new Steve Jobs Theater at its new Apple Park headquarters. I just find it sad that they're blatantly ripping off entire designs from Apple. That quote doesn't mean what you think it does, unless you take it completely at face value. Sick of reading it whenever somebody blatantly rips off Apple's design. Why? Do what works and sells. Chinese love the industrial design of Apple but hate the price. Build something's that looks like an Apple, feels like an Apple, but costs half as much and it's gonna sell. Hell, if I didn't abhor Windows I'd buy one. But alas, I hate, hate, hate, windows. Yes, copying parts of designs to make your own design better. This is taking a MacBook Pro and adding your own internals into it. The phone is not a copy of Apple design. The phone is the 2nd gen Mi Mix. The laptop is a copy of Apple's design, no doubt about that. If I'm honest, I'd say they outdid Apple regarding the port situation while keeping the laptop relatively thin. It remains to be seen how well it works, but from a "function" premise it would have been nice to see the MBP have some of that functionality right out of the box.